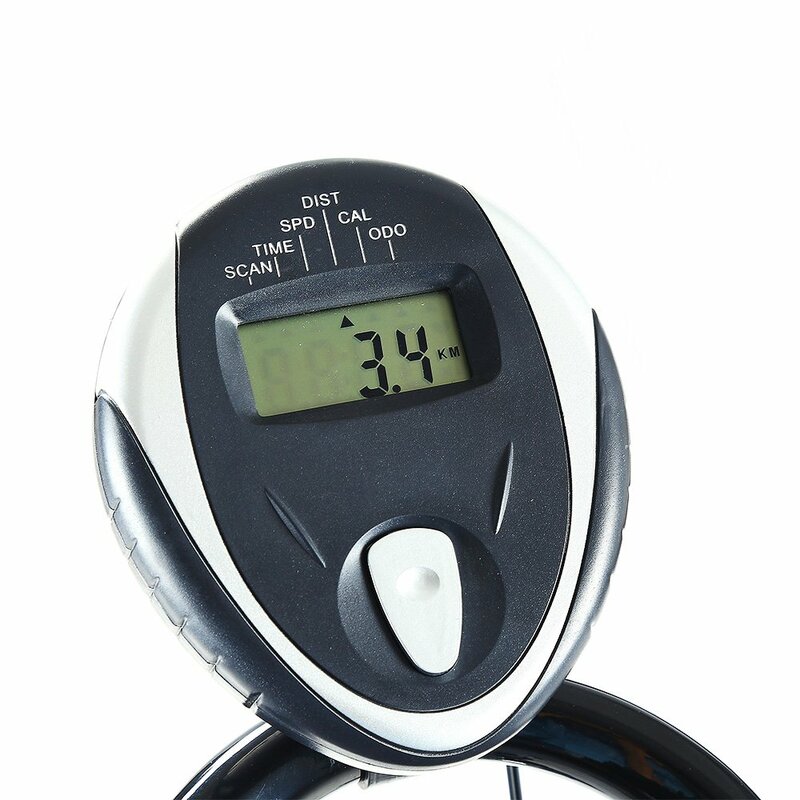 【LCD Display & Phone Holder】LCD monitor tracks your time, speed, distance, calories burned and odometer While you are cycling–to give you a more Scientific exercise date. 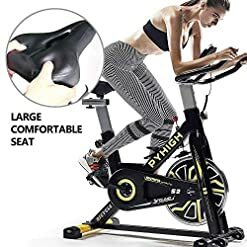 You can place your Phone on the holder while workout. 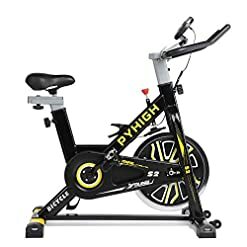 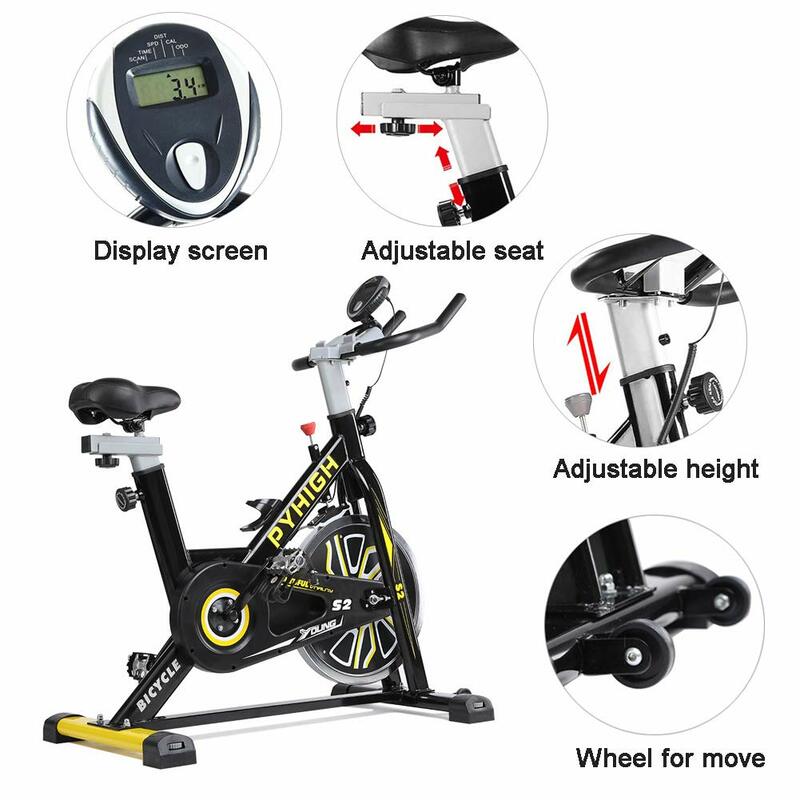 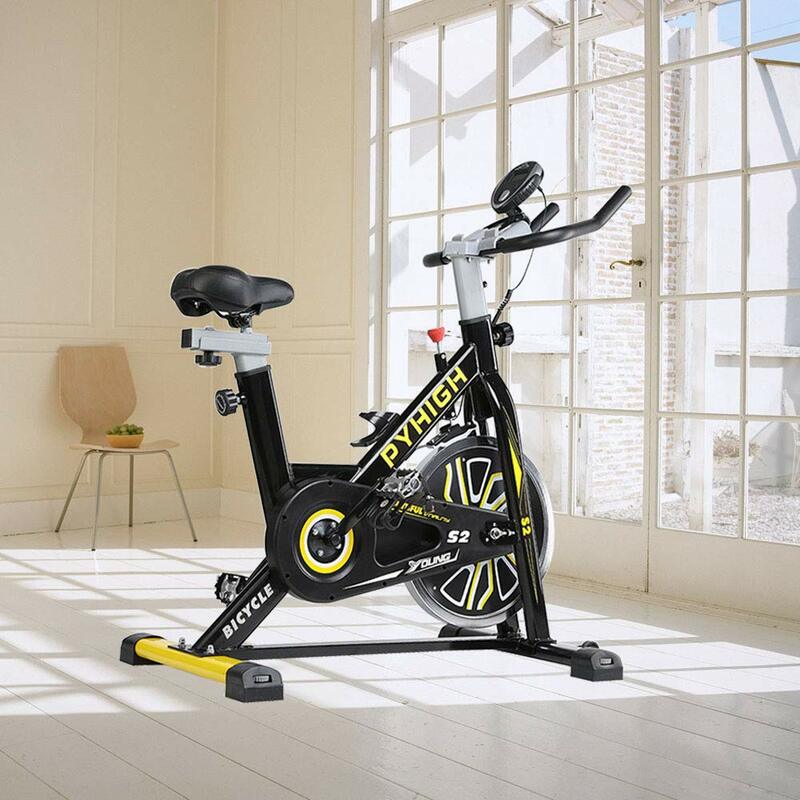 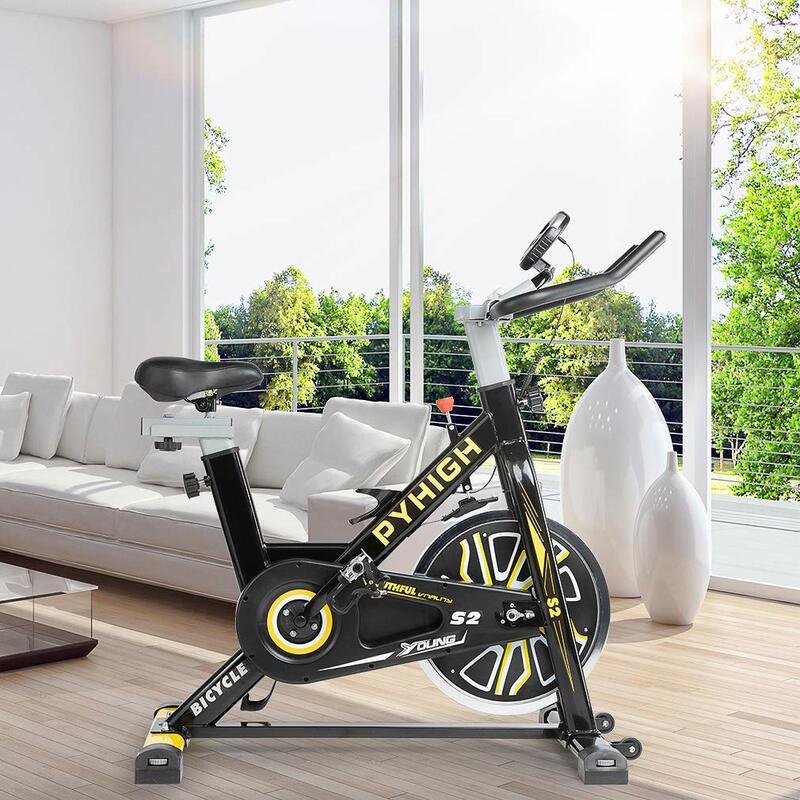 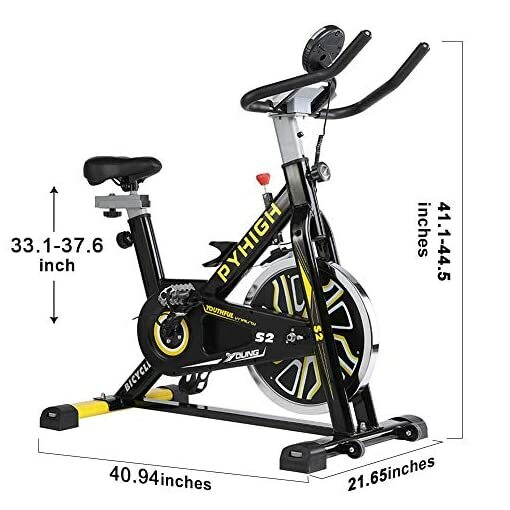 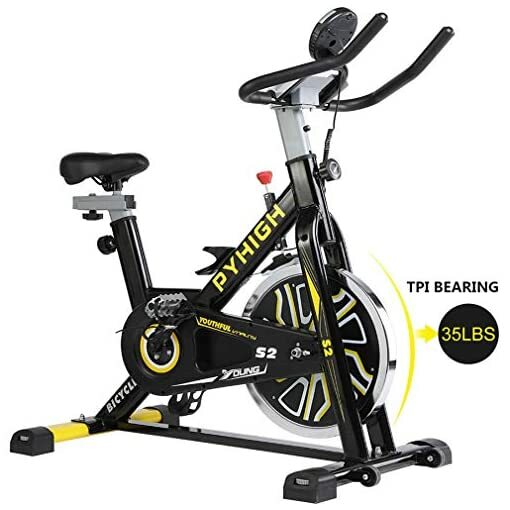 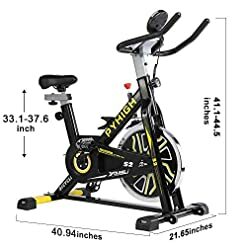 【Adjustable Resistance & Emergency Quick Stop Design】This Stationary Bike has an unique Resistance design– You can increase or decrease the Cycling resistance to choose a different Training level by a simple twist. Press down the emergency knob to stop the flywheel immediately if you want. 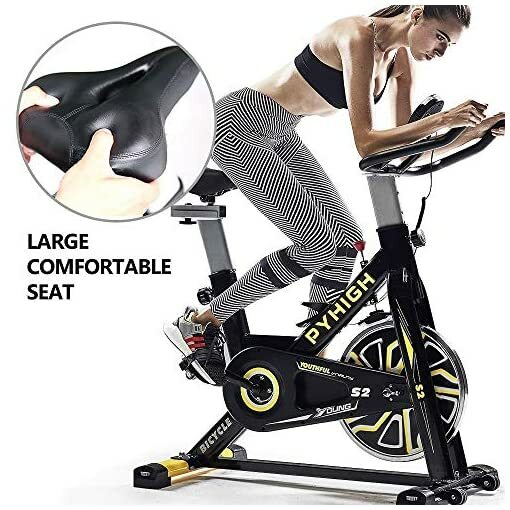 【Safe to Use & Move】 Supports up to 280lbs,Cycling Bike’s Anti-Slip pedals are designed with adjustable toe cages and straps which make your cycling more safer. 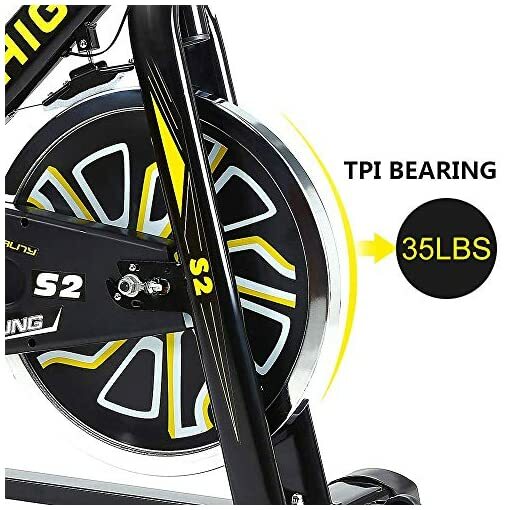 Front foot tube Wheels help you move the bike easily. This exercise bike comes with a 12 months warranty.